Outdoor Adventures in Hocking HillsOur hotel's location is near Lake Logan and Hocking Hills State Park, outdoor enthusiasts love staying at the Holiday Inn Express Hotel Hocking Hills - Logan. Our hotel's property is near numerous popular business and leisure attractions.When business brings you to Logan, Ohio, our hotel's the perfect place to stay. We're near companies like GE, Goodyear Tire & Rubber, Logan Clay Products, Selkirk and Smead Manufacturing. We feature a number of conveniences such as copy, fax and print services. If you need to host a small event, our breakfast room doubles as a meeting facility for 20 - 25 guests.Vacationers enjoy staying with us thanks to our proximity to Lake Logan and Old Man's Cave in Hocking Hills. Our hotel is the perfect launching point for outdoor enthusiasts, including anglers, hunters and hikers. We're great for collectors thanks to a location near the well-lit Logan Antique Mall. Make sure you stop by Millstone BBQ for authentic, slow-cooked Southern-style barbecue, as well.Whether you're here for business or to explore Hocking Hills, our hotel meets your needs. Connect to colleagues and friends with free hotel-wide Wi-Fi access. 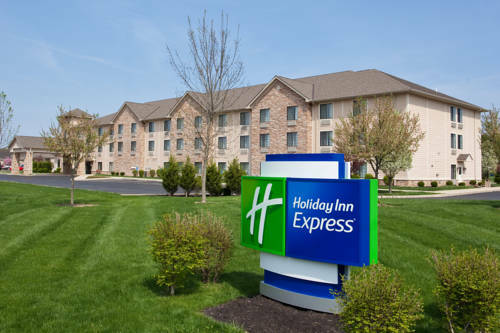 Before you explore the sights of Logan, Ohio, try our hotel's Express Start Breakfast Bar, or take time to relax with a dip in the indoor pool. Our fitness center helps you maintain your exercise routine, too. We can't wait to see you. HOCKING HILLS GOLF CLUB HAS A BEAUTIFUL GOLF COURSE THAT YOU CAN ENJOY WHILE IN TOWN. AFTER GOLFING YOU CAN ENJOY A MEAL OR DRINK IN THE CLUB HOUSE. This collection of old farm buildings and exhibits has many dead animals -- including a two-headed calf -- in its Morgan Museum, and a separate exhibit of General, the world's largest stuffed horse.